Aerial time-lapse photography is the technique of taking imagery at the same location and height periodically, capturing the change and progress over time. This technique is highly effective in communicating project achievements to stakeholders, consultants, contractors and staff. 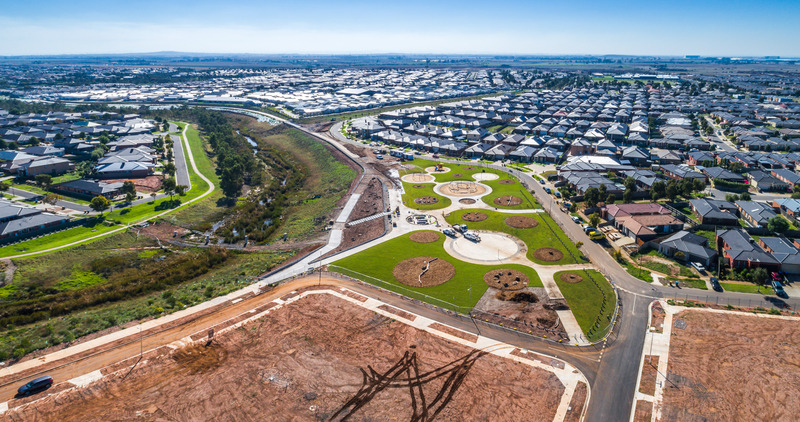 UAVisuals took part in the $3.5 million Wyndham City Council Talliver Terrace Park construction by documenting the development of the 1.3-hectare park from start to finish. 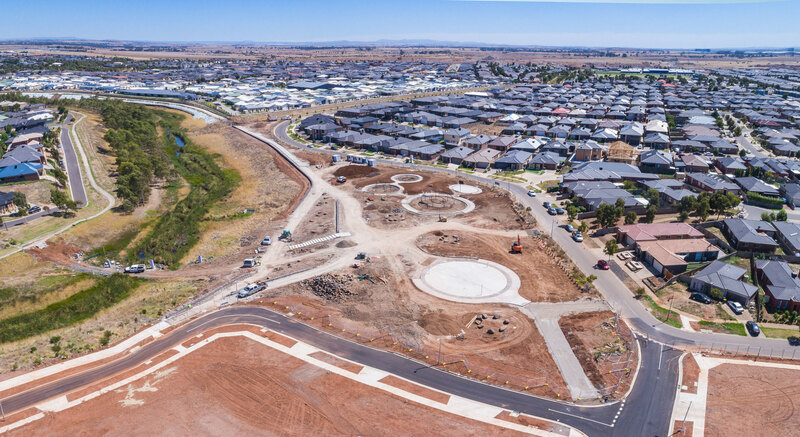 The project, which went for nearly a year, involved the construction of two bridges, netball and basketball spaces, play equipment, shelter, barbecue amenities and more. 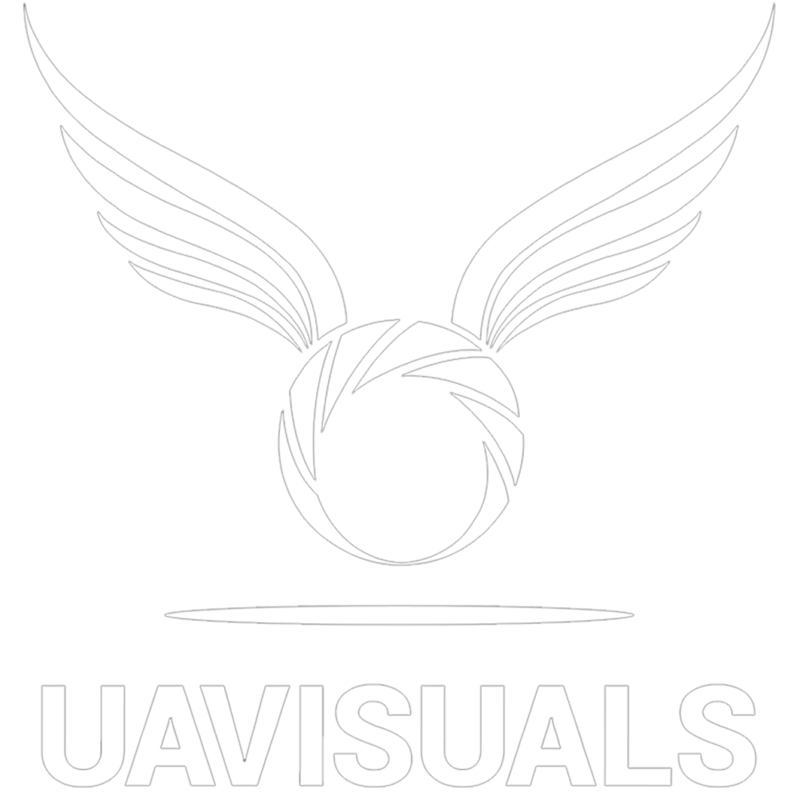 UAVisuals recognises the importance of having a sound knowledge of each project. 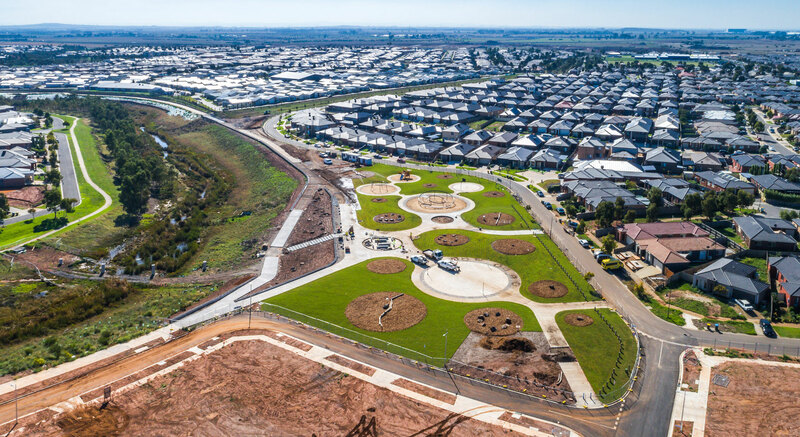 As such, we worked closely with Wyndham City Council’s project managers to ensure we had a complete understanding of the development and projected outcomes prior to commencement as well as during construction. Over 8 visits, UAVisuals captured construction progress imagery to effectively demonstrate the sheer scale of the park’s development. 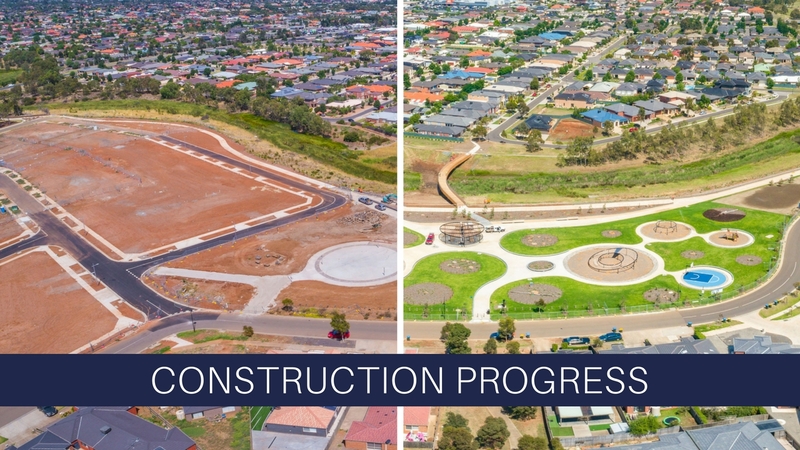 We captured imagery from four consistent locations periodically by air, to effectively show the construction progress using the latest drone technology. 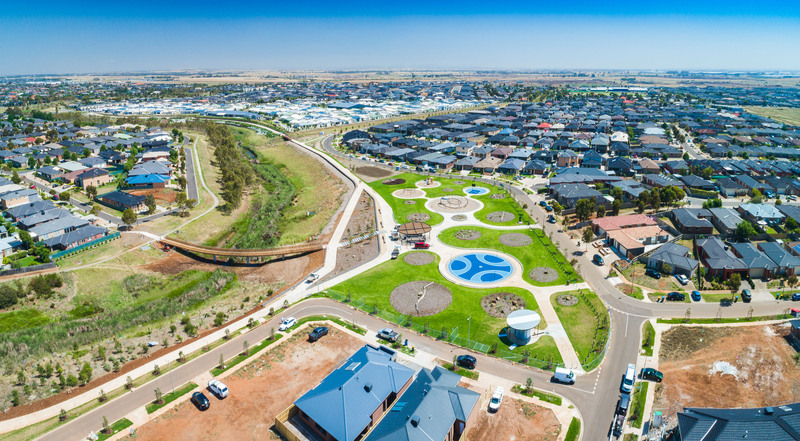 Wyndham City’s Urban Futures portfolio holder – and Truganina resident – Cr Intaj Khan, said the park was a valuable addition to the local community.